It’s official, we’ve caught Olympic fever. We’ve found ourselves checking water polo scores and medal counts far more frequently than we would have guessed, and find ourselves glued to replays of the day’s events each evening. It seems that we aren’t the only ones who have caught the bug, and it’s great to see some of our favorite brands are offering a few extra patriotic options these days. 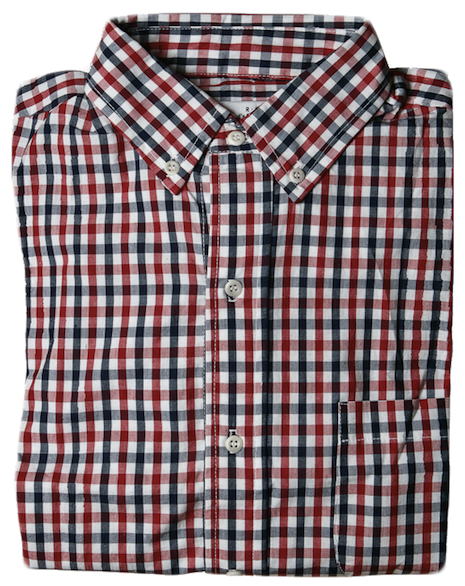 One that we really like is the Red, White, and Blue Gingham Shirt ($165) from Read’s Clothing Project. Though it’s pretty hard to think about sweaters and jackets with temperatures as high as they have been, pieces of Fall lines are starting to trickle out, and who are we to ignore them simply because it’s hot outside? We’re all going to need to layer up eventually, and we might as well start preparing now. One of our ‘go to’ layers each fall is a simple v-neck sweater. It’ll go with everything, and the added layer is normally enough to get you through a chilly fall morning or evening. This year, we’ll definitely be adding one (or both) of the Cotton Cashmere V-Necks ($75) from the L.L. Bean Signature collection to our rotation. It’s been almost a year to the day since we first profiled Warby Parker, and boy have they grown since then. With a well rounded line that is always evolving, this relative new kid on the block is still shaking up the eyewear industry with frames that are new on the market, but have quite the classic appeal. We still wear our Thatchers regularly, and they seem to get a compliment or two each time we put them on. The post below originally ran on July 30, 2011. Tonight, the eyes of the world will be on London, and we can’t wait to see just what kind of surprises are in store for the 2012 Opening Ceremonies. Of course, Team USA will be decked out in their red, white, and blue, but we’re pretty disappointed that the Ralph Lauren Olympic collection doesn’t include a bowtie. 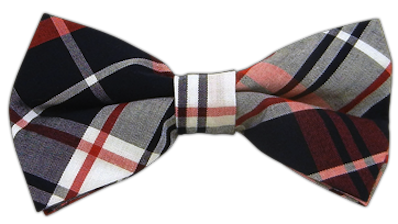 Because their isn’t an official Team USA bow, we’ll be showing our support with the Mass Madras Bow ($15) from The Tie Bar. This summer, we’ve found ourselves slowly updating some of the more basic pieces in our wardrobes. As much as we love to turn a head or two from time to time with something loud, we’ll never be found without a classic pair of khakis and a few solid button downs at the ready. 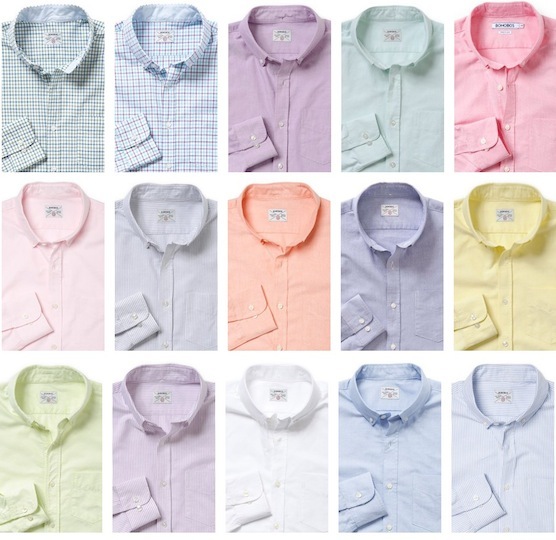 Though Bonobos is one of the first places we turn for pants and shorts, we had never ordered a shirt from them until last week, and we sure are glad we finally did. Their All-American Oxfords ($88) are just as fantastic as their signature pants! Earlier this year, our friend Jay over at Red Clay Soul coined a phrase we’ve found ourselves using quite frequently these days. In an effort to describe pants that weren’t your standard khaki or navy, yet not quite bright red or lime green, he settled on “Go To Heck,” and we couldn’t have said it better. Recently, we stumbled across a cache of “Go To Heck” shorts that left us wondering how in the world it took us so long to find them. 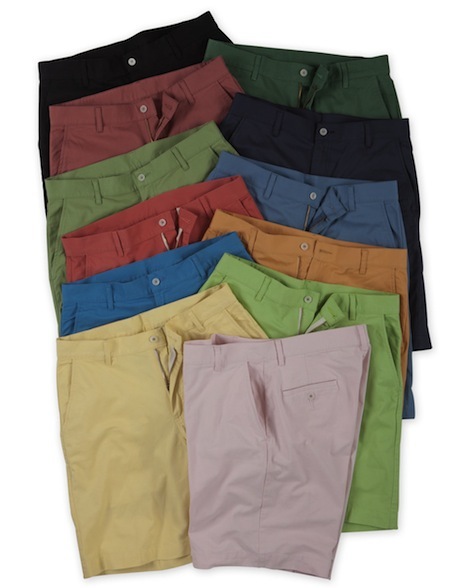 Take a look at the Island Twill Parker Shorts ($78.50) by Bills Khakis. At one point or another, we’ve all had that one polo that became a safety blanket of sorts. You know the one. It’s the one that looked good no matter where you wore it for months or even years on end. 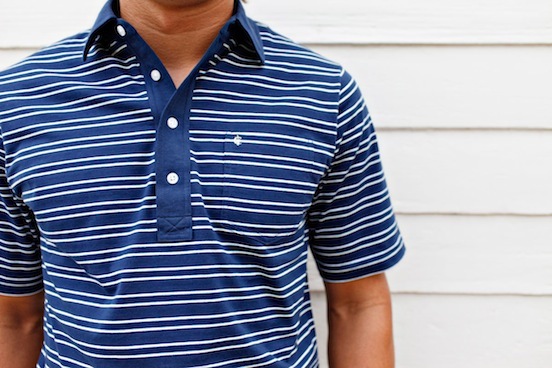 From the golf course, to the classroom, to the boat, to the bars, it was that shirt that just never looked bad. Of course, all that wear takes a toll, and we’ve all had to move on (or will have to move on) from that cherished shirt at some point or another. Well, two guys down in Texas decided they were sick of the goodbyes, and they’re on a mission to create an entire line of perfect polos. Their company is called Criquet, and we are loving their Players Shirts ($75-78). 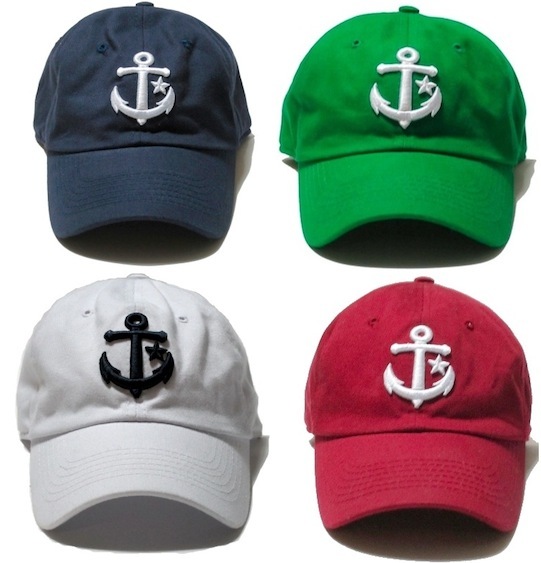 Signature Cap giveaway courtesy of Starboard Clothing Co. Though every guy we know seems to have quite the assortment of hats, we have found that most everyone seems to stick with one or two ‘go to’ options for the most part. For us, our ‘go to’ hat changed almost overnight when we finally got our hands on the Signature Caps ($22) from Starboard Clothing Co.* After six months of heavy wear, we’re loving them just as much as we were the day they arrived, and now one lucky Bowties & Boatshoes reader is going to win one. Though we don’t break out t-shirts nearly as much as we should, great ones still remain high on our list of things that every man should have. Yes, we realize that everyone has a few shirts that have been in the rotation for years and will remain there until they fall apart, but every once in a while you have to introduce a couple of new additions to the mix. 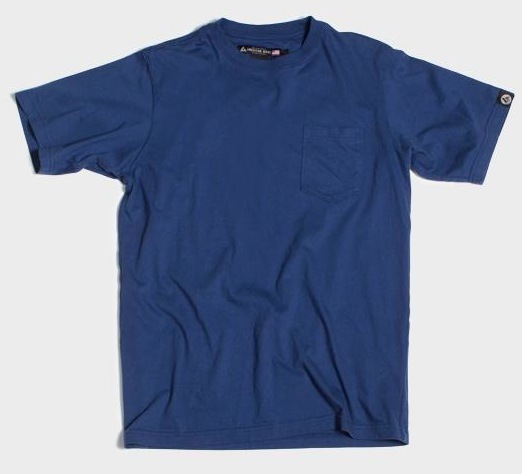 This weekend, we’re upgrading some of our old pocket tees with a couple of Pocket Tees ($29.50) from American Giant. 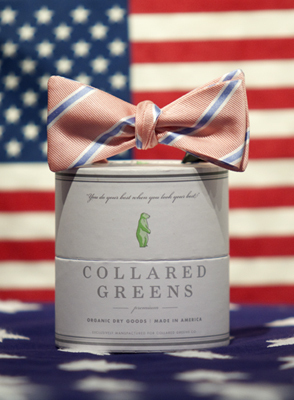 Though we love to mix things up with our bowties, we’ll always have a number of striped options at the ready. In our opinion, a striped bowtie is like a great pair of khakis, or your favorite oxford cloth button down, it’ll go with just about anything. Case in point is the Laurel Bow ($55) from Collared Greens, and we’re happy to announce that we’re give one away this week.